Back about a month or so ago, Ed Markowski sent me the following email that I asked his permission to reprint as a blog post. 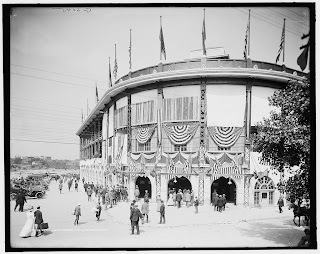 He kindly granted the same, and so it was decided that this lovely piece of baseball-iana should appear on opening day, 2011. Here it is in all its glory. would have had a hard time rooting for the Tigers. but never as much as the lunch bucket teams . The Dead , and The Doors . & there ' s room enough at the inn for everybody . diamonds on the plant property & they sponsored teams. would stay on for the rest of my life . the road & off Chautauqua ' s property . at a seven - eleven "
" Factory Windows would ' ve been the best in the book . " then , and there in room 16 . " Today's featured song is only the second instrumental so far in this ongoing literature meets rock and roll project - the first actually did have a few words, but was largely instrumental. 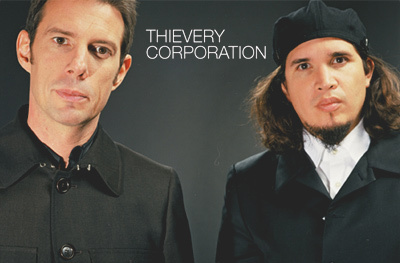 Today's selection is courtesy of The Thievery Corporation. The Glass Bead Game by Hermann Hesse, the inspiration for today's selection, is one of my favorite novels by one of my favorite authors. Largely overlooked by fans and readers in general, it is certainly one of the finest novels of the 20th century, well deserving of the Nobel Prize that it garnered for its author. It reprises all the great themes of Hesse's career, from duality through transcendence. There are bits of all of his great books here, if in slightly disguised forms: Siddharta, Demian, Steppenwolf, Narcissus and Goldmund, and Journey to the East, as well as many of his early student novels. Narrated by a fictional biographer, with introductory and supplementary material, the larger part of the book passes for a partial biography of Joseph Knecht, a great Masters of the Bead Game or Magister Ludi. 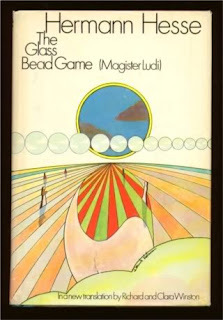 Set in the 25th century, it relates the story of the intellectual province of Castalia, where the students all learn the glass bead game, a sort of interdisciplinary exercise of connections among all the great fields (literature, music, science etc.). The folly of such an exercise, removed as it is from "the real world," slowly and steadily becomes apparent, no matter how attractive the concept. And attractive it is; witness the proliferation of exercises online attempting to recreate its chief philosophical premise (& that's just a handful). 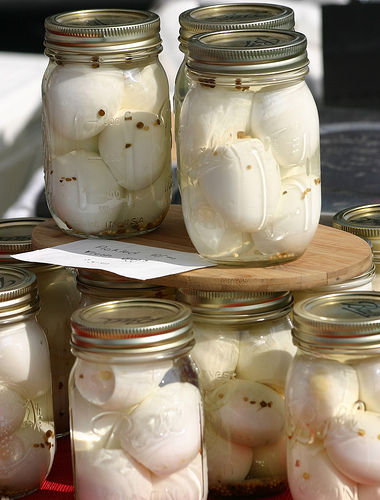 Some have gone so far as to suggest that the internet itself is the glass bead game manifest. 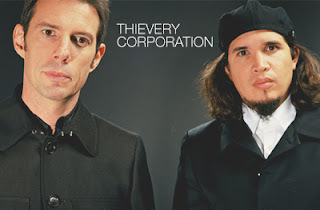 We won't go down that road but we will take some time to chill to the groove of The Thievery Corporation, a dance-acid jazz-trip hop band, that knows the ins and outs of the outs and ins. I just learned of them last week and I'm already listening to third of four albums I could rustle up from the library and, well, they make me relax and smile. So there you go. The cut may have nothing more to do with The Glass Bead Game than a shared title, but if it made me mellow, well there will be no argument from me. Sticking with the theme of the unusual, here is a composition performed by Jacques Burtin performed on the kora, entitled "La Lumiere Matin (Morning Light)," a piece the composer describes as a prelude to The Glass Bead Game. and streetlamps are endless in the night. I can't speak for the world of big publishers, but as a small (well, ok, micro) press publisher in the business for over 20 years, I get amazing things in the mail with a fair amount of regularity. The book pictured above may, however, take the cake for all-time surprises. 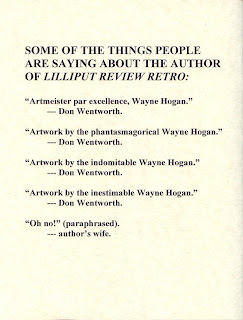 The incomparable Wayne Hogan, artist and poet extraordinaire, put together a book of his own artwork that has graced the covers and interiors of Lilliput Review for a good part of those 20 years. The chap sells for $11.56, which includes postage, and I'm nothing if not prompt in sending things out when I get a request---within no more than 2 days, barring drastically unforeseen circumstances. So there you have it - fantastic art at a very reasonable rate. Mail payment to "Wayne Hogan", little books press, PO Box 842, Cookeville, TN 38503. The quotes are all genuine, coming from various issues his work has appeared in. Perhaps, I need to reel in my effusiveness. This week's feature poem comes from Lilliput Review, #145. This morning, I'm particularly struck by this poem as I've been preparing for a poetry discussion session next month on Walt Whitman: Father Walt. One of the poems I'm considering covering is "As I Ebb'd with the Ocean of Life," a poem that captures him during one of his infrequent downside moments. The tone of this week's poem, "Ebb and Flow" by Robbie Gamble, is distantly related to Whitman's and called it to mind immediately. There is something about the pensiveness, the taking stock, we humans seem to do on returning to the ocean, that is captured in these works, as well as E. E. Cummings "maggie and millie and mollie and may." I will follow Robbie's poem with one of my favorite modern haiku that I use when doing introductory classes, a poem by Peggy Heinrich. PS I mentioned to Tom his ku reminded me of Basho's about the octopus traps - so here it is. This week's selection for Issa's Sunday Service is "Yeats's Grave" by The Cranberries. I'm not sure where I ran across this one but it is a fine example of LitRock. Why did you sit here? 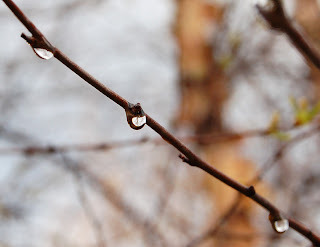 This week's poem gives the dirt a little turn to see what it is we are about in the northern temperate climate these days. Originally published in Lilliput Review #103, back in another century (April 1999), it has the lasting power of, well, a world. Enjoy. It's been over three years since I speculated that it would take me awhile to read and report back on the 4 volume colletion of Haiku by R. H. Blyth and it seems I was right. What Bashō wanted to do, however, was to condense without heaviness, to refine without dilettantism, to philosophize without intellection. This he could find done in pictures already. The insistence on the fact that humour is to be seen everywhere, under all circumstances, which is the special virtue of haiku, is also the distinguishing quality of haiga, and one which keeps it most closely connected with this world and this life. Art comes down to earth; we are not transported into some fairy, unreal world of pure aesthetic pleasure. The roughness gives it that peculiar quality of sabi (Ed. note: B's emphasis, not mine) without age; unfinished pictures, half-built houses, broken statuary tell the same story. It corresponds in poetry to the fact that what we wish to say is just that which escapes the words. 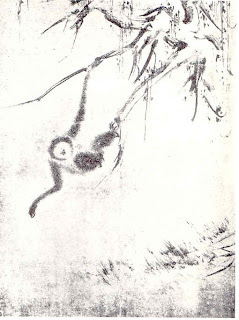 Haiku and haiga therefore do not try to express it, and succeed in doing what they have not attempted. We all sit and wait and pray over developments in Japan. There will be another post from Scott Watson in Sendai tomorrow. For now, this week's featured poem comes from Lilliput Review #143, June 2005. It is a translation of a Japanese classic. And the two faced man who made a hobby of breaking his wife's heart. And here in the west its just the same but they're using make-up veils. And I've had the breath of liars blowing me off course in my sails. But human riches I'll release. Buying shoes, buying sweets, buying knives. Buying time, buying ends to other peoples lives. But human riches Ill release. For me this is just another rock song copping another riff until verse 5. Then lyrically it takes off. Musically, it is a whole other furry beast. Fortunately, there exists an extended explanation by the lyricist and driving force of XTC, Andy Partridge, who unpacks the song, musically and lyrically, here in a fascinating interview specifically about "Jason and the Argonauts." If you are inclined to read this long, wonderfully detailed piece I recommend you put the song on loop as you do. It gets in your bones. "I have watched the manimals go by ..." - beautiful. 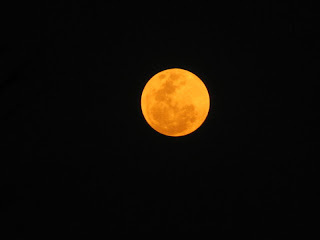 With a tip of the hat to H. G. Wells, as well as Apollonius. This is XTC's first appearance on the Sunday Service, which is kind of surprising since they are something of the quintessential artrock band. One final note about XTC; they have an alter-ego as the psychedelic band, Dukes of Stratosphere, which, in fact, I'm an even bigger fan of. If your are a psyche music fan, I highly recommend Chips from the Chocolate Fireball, the compilation album that contains both Psonic Psunspot and 25 O'Clock in their entirety. Here is a static video which will give you an idea of how sonically inventive they really are (if you didn't catch it from Jason). "Brainiac's Daughter" recalls, by name association, a thriller of a Mexican horror movie, Brianiac. 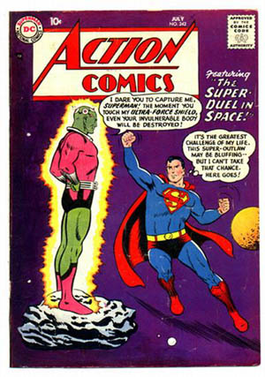 The reference is more directly, however, to the character Brainiac from the 50s Superman story (in Action Comics), though there was no daughter of Brainiac. However, Wikipedia tells us, the reference came full circle in the 4 issue limited series comic, Kingdom Come, in which Brainiac's daughter was created in homage to the song. This week's selections from the archive come from Lilliput Review, #105, which was featured twice before on the blog. These 3 poems opened the issue; C. C. Russell sends up what I've been trying to do for the last 23 years, largely unsuccessfully (me, not C. C.), in a spot-on satire, and Kelly Donlan's short precise little poem bridges the gap to David Chorlton's miniature masterpiece, which at once nails what is done, when it's done right, and how (it is done). Enjoy. A new issue of Haiku Canada Review came across my desk quite awhile back and I'm finally getting to it . As I've mentioned before (and before that), it is one my favorite haiku mags. It comes out three times a year, is always jam packed with interesting, challenging work, including haiku, haibun, linked verse and reviews, all of which are at once thought provoking and inspirational. Editor LeRoy Gorman deftly blends together the traditional and experimental; in the 10 years I've been reading I've never been disappointed. 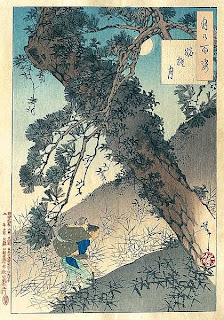 A classic haiku in form and execution, calling to mind Li Po's (Li Bai) famed adventure trying to embrace the moon. 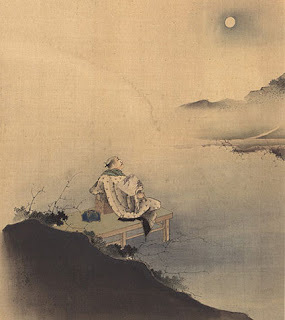 While looking up this legendary incident, I ran across a website with 40 different translations of his own poem about drinking and the moon, (variously titled) "Drinking Alone by Moonlight." Dust motes in the golden light of autumn seem a universal, almost a collective conscious memory. It is the time of the year, the slant of the sun, the balance of low humidity, and atmospheric pressure - and it is magic. With the ubiquity of the cell phone and other connective devices, it's often hard to sort the disturbed from the disturbing. "Reasoning" is the perfect word here because the vagrant, like the actor in a play, is completely convinced, and convincing, in his role. The phonies, pun intended, you can smell a mile away. Perfect: the commonplace is transformed and, come to think of it, that's as good a definition of haiku as I've run across this week. 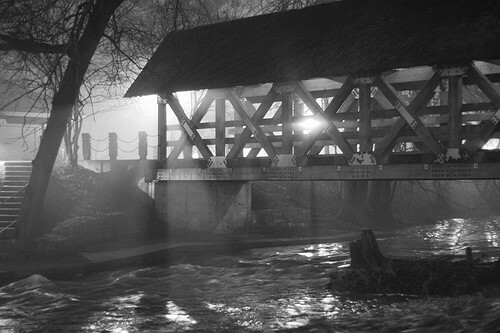 The frog pulls us back where we belong - the time, the place, the uniformity all fall away for a timeless event. Funny and sad and ominous at once, all in 8 words, quite a slick feat. Here the poet, like an expert fisherman, lets the truth come to him, no easy task for the amateur. On one level, this feels mundane, but there is something sublime here. To see how close this poem comes to not working, simply place the 1st line last. The shape and movement of the swan's neck raises the tennis arm, something usually ignored, to a thing of exquisite beauty. Reversed, the effect would have been opposite. 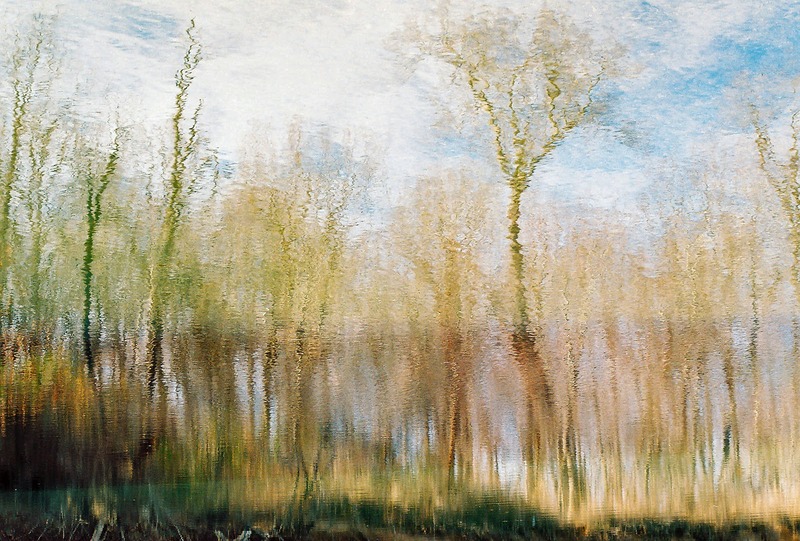 This haiku from a haibun by Roberta Beary resonates, not only with sound, but motion. Well, it doesn't get much better than this - a haiku poet at exactly the right place at the right time, and paying attention, to boot. This reminds me of the poem by Bashō about longing for Kyoto while in Kyoto. There is more than nostalgia here, though I believe the two poems share a deep sense of longing, perhaps under very different circumstances. Than again, perhaps the circumstances are nearly the same. 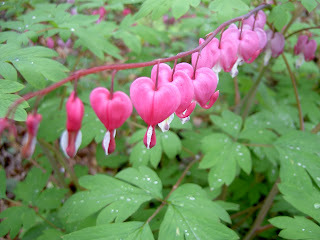 Love, and the love of love, are universal. There is Issa's haiku about the snail climbing Mount Fuji (but slowly, slowly) but, dare I say it, this one rivals the Master. Here, at once, we see why the snail may make it to the top of Mount Fuji, and why it may not, and why we may make it to the top of Mount Fuji, and why we may not. 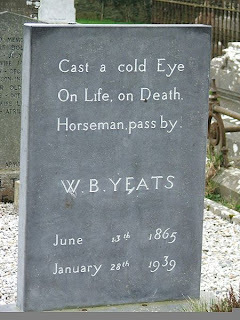 This is another beauty by one of our modern masters; we are firmly in the present moment and at the same time, lodged in the past, all in the gray matter, deftly separated by the poet, into the two hemispheres of his own brain. Brilliant. This is touching in every sense of the word. Each and everyone of us who have been there have done this and we may not have even made a conscious decision to do so or had the self-awareness to realize why. Read this literally and see a tranquil seashore picture. Read this more deeply and you sense an ego deflating. Make of it what you will folks, He says, that's all there is. In the time it takes a hummingbird to disappear and suddenly reappear in a different place....there's your haiku, back with a new meaning. For more on Haiku Canada, visit their website. Membership includes a subscription to HCR, published 3 times a year, plus newsletters, a Members' Anthology and Haiku Canada Sheets. Or, if you prefer, subscription includes membership, with all of the above as noted. 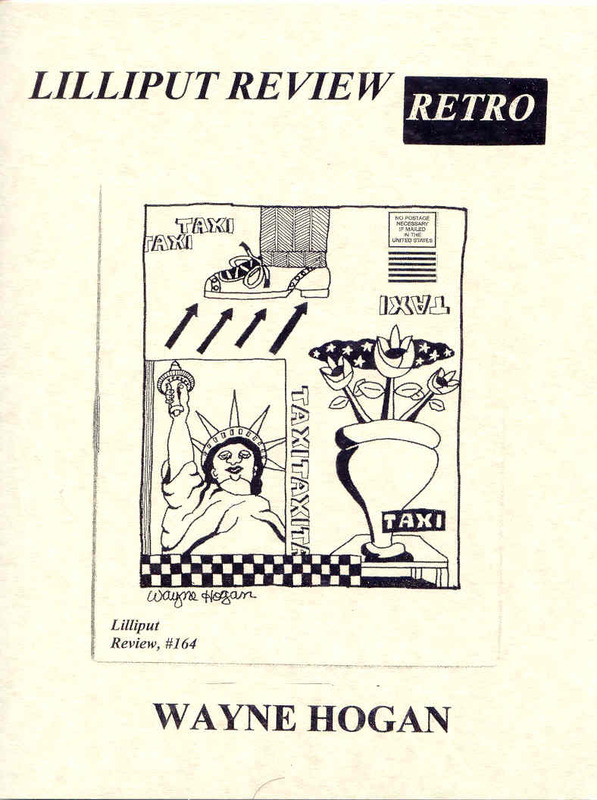 Lately, I've been talking to John Bennett a bit about our mutual acquaintance - a friend of John's and an acquaintance mine from my editorial work - the late artist and poet, John Harter. John had something many poets would, and have in fact, died for: a unique voice. I often think of him when I think of Albert Huffstickler, not because their work was similar, but because they both had genuine, unique voices that cut to the quick of things. 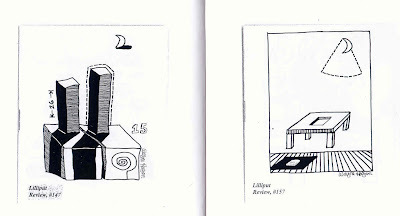 As many of you who have been reading this blog for any length of time know, every week, usually a number of times, I feature work from past issue of Lilliput Review. 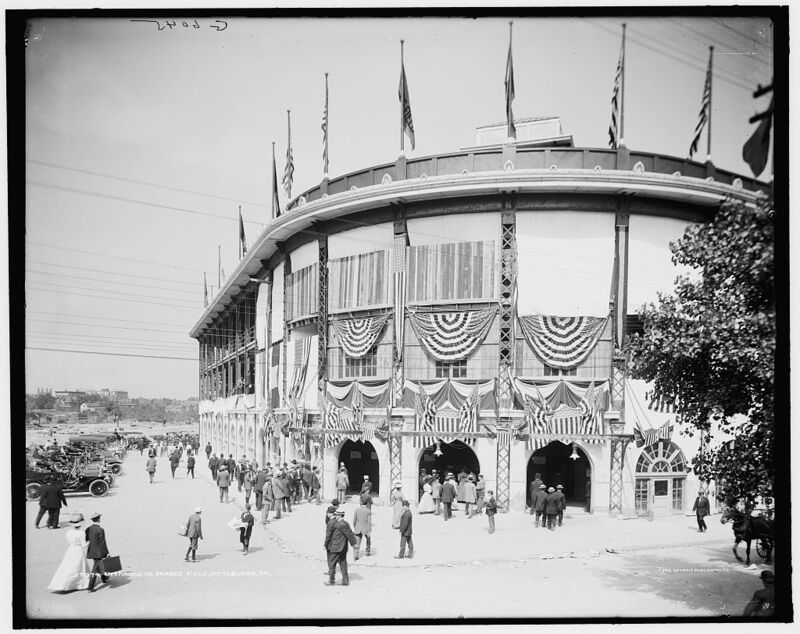 Currently, the Friday and Sunday posts have poems from the mag. I've been doing this so long that I've gone up and down the full run of Lillie issues, up to #178 now (I'm currently laying out 179 & 180), a number of times. In looking at #142 this morning, from back in January 2005, I noted that I've featured poems from this issue twice before and that there are still a bunch of poems worth reprinting. 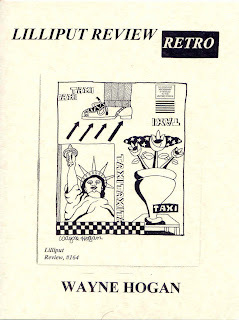 What I didn't think I would stumble on is poems by John Harter I had yet to feature on the blog. And what a wonderful surprise it was. Here are two poems by John. Everything he did was written in caps, with his delightfully eccentric spelling (and, in one case here alignment - that's right, this isn't just another Wentworth f-up). 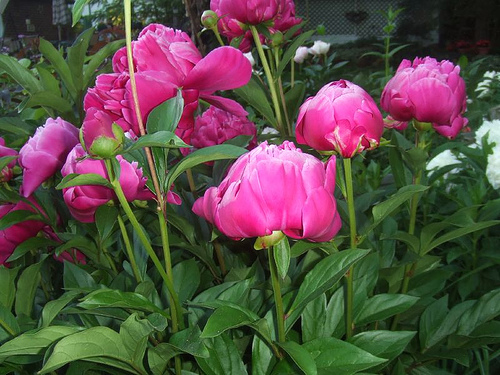 I hope you enjoy these two; they are beautiful in, perhaps, a little mellower way than usual for John. It was one of the great honors and delights of my 23 years (and counting) editing this little rag to have made John's acquaintance via poetry. 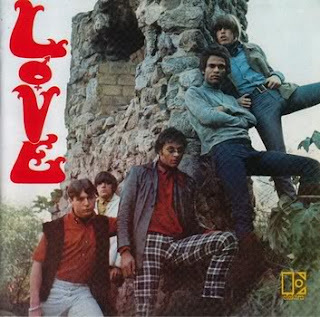 This week's selection for Issa's Sunday Service comes from one of my favorite 60s bands: Love. The literary allusion is brief, (the mention of "poetry") with the cut being a smart, if lightweight (especially compared to their later work), pop song. It does highlight the rocking side of a band that became famous for a more mellow folk/chamber rock vibe, best exemplified by one of the finest classic rock albums ever, Forever Changes. 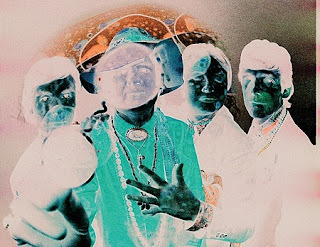 Not long after recording that album, Arthur Lee, the charismatic leader and songwriter of the band, fired everyone and started a long, checkered career with backup bands and material that never rose to the quality of his previous work. Lee's spiraling descent hit a low point when he was sentenced to 6 to 12 years in jail i prison in 1996, the details of which may be found here. Lee's sentence was shortened when the original trial proved tainted and he was released. What followed was an amazing coda to his story; Lee put together a new assembly of musicians, went out on the road and performed a stellar version of the Forever Changes album live, which is available in both CD and DVD editions. If you are a fan, it is not to be missed. What follows via youtube are two cuts from that tour and the Forever Changes album, performed live on Later with Jools Holland. It seemed that just as quickly as he had returned, he was gone, this time for good. 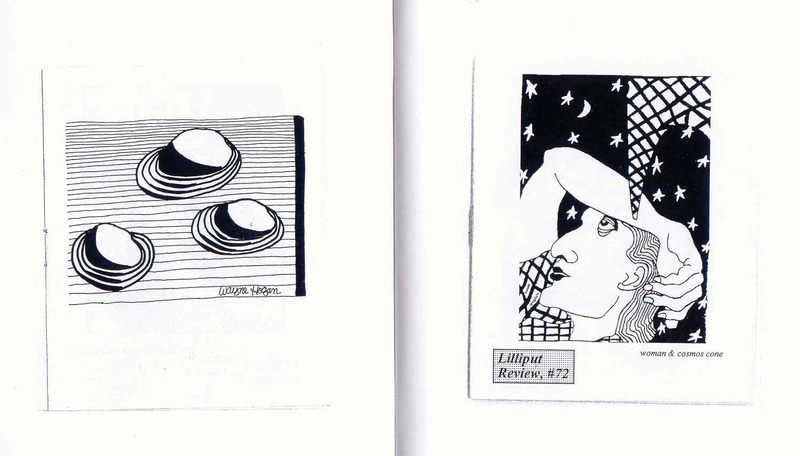 It would seem that issue #106 of Lilliput Review had some amazing poems, some of which have been featured here and here and here. So, adding to those 9, here are 10 and 11: LeRoy Gorman reminding us of a classic haiku concerning the octopus dream by Bashō and Marshall Hryciun just reminding us. Lost Poem Looking for Poet: "The Earth-Boat"
The ocean's susurrus . . . . When it comes to class acts in the poetry world, only a handful come close to Henry Denander's Kamini Press. I've waxed on and on about the press previously, with review of two previous publications. 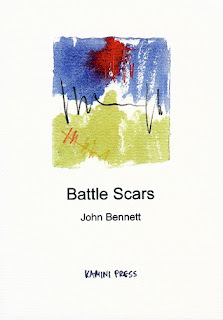 Pictured above, and excerpted below, is another fine volume from Mr Denander: John Bennett's Battle Scars. Battle Scars is something of an anomaly: it feels as though Bennett has invented a new form, an astute amalgam of the the short poem and the aphorism. Though the work is in natural language, or perhaps because it is, the pacing is precise. There is no mistaking Bennett's opinion on a particular subject; he is straightforward, plain-spoken, cynical, perceptive, and sarcastic. All of which add up to one thing. In one little book, Bennett has solved the age-old conundrum of experience versus learning. In Battle Scars, you may learn, at what seems as close to first hand as you can get, from someone else's hard won experience. How's that for an empirical statement on the human experience? New agers need not apply here. Self-helpers, keep on walking. Even zen-sters seem to be nodding appreciatively, or maybe that's just a no. Hmn. Ok, so maybe what's coming ain't so hot, but here's a bit of survival technique. Suddenly, all three poems come into stark relief; what they have in common is a point of convergence from which we can learn quite a lot. What might that be? The thread running through all three pieces is not fatalism or misanthropy or even old school Darwinism. What we have here is a heightened, unsentimental perception of the human psyche, with all its warts, foibles, and limitations. Is "Reading Tea Leaves" the answer - it would seem that the very title isn't holding out any unadulterated hope. But seeing patterns seems to be a help, be they in tea leaves or herds or a certain something lacking. There are 30 of these little bon mots here, ready to pop in your metaphoric gullet, tasty as all get out, but there's a caution. Chew well; chew very well, indeed, if digestion is your intent. Reflux can be a nasty condition. 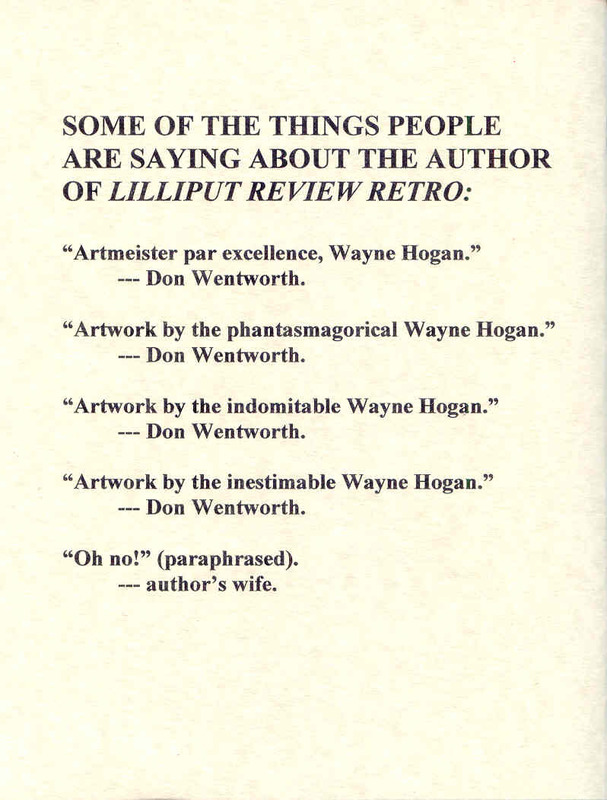 Lilliput Review #141 was originally published in January 2005. Today's featured poem comes from that issue. 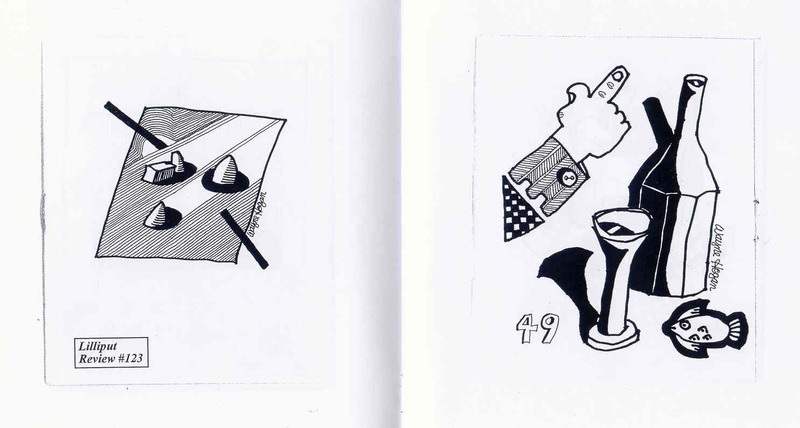 For 6 more poems from the same issue, check out these two posts. Enjoy. 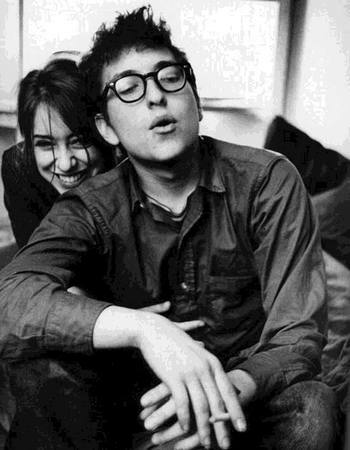 Suze Rotolo: R. I. P.